The list of off-limit places in southwest Arizona has nearly doubled for Marines, according to a news release from Marine Corps Air Station Yuma. Among them is a place called “S**t Creek.” It’s not a roughneck bar nor a seedy store. It’s actually “the confluence of the Colorado and Gila rivers,” according to a Yuma news release. A view of the Lower Colorado River. 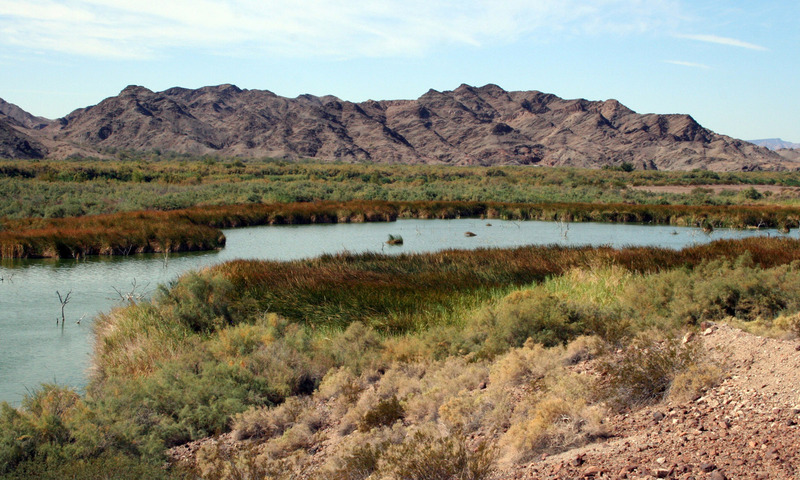 Its junction with the Gila River is an area known as "S---t Creek." Marines are banned from visiting it at night. It’s not completely banned, mind you. You can visit in the daytime, but when the sun sets — stay out! Also notable is The Mine Shaft, located at 3905 S. 4th Avenue. This bar was added “because of the amount of physical altercations resulting in physical injuries and lack of security at the establishment,” the release states. Under investigation are several stores believed to be selling spice, a product marketed as incense but used to get high. Marines who visit the off-limits locations are subject to non-judicial punishment or court martial. Read the full Yuma release here. MCAS Yuma spokeswoman Capt. Staci Reidinger provided some clarification on this issue. It turns out that Marines have been banned from S**t Creek since 2006. It’s a known troublespot for underage drinking and drug use, Reidinger said. The Mine Shaft effectively “doubled” the number of off-limits spots by becoming only the second location on the list. So Yuma Marines have a pretty short list of off-limit locales — The Mine Shaft and S**t Creek. Haha. It’s just another place that is made more attractive to Marines by posting it as off limits. Battalion legal officers are going to be even more busy in the coming months. Wow. Some things never change. We use to frequent this place back in the early 70’s when I was stationed in H&HS. We called it “Freak’s Creek” then. Yes, it was a party spot. did it anyway, circa 1969.